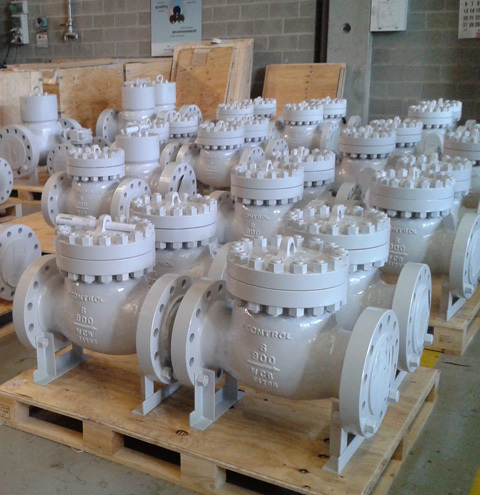 The ECONTROL VR-100 Check Valves are a complete family of backflow preventer valves for a wide range of industrial applications. 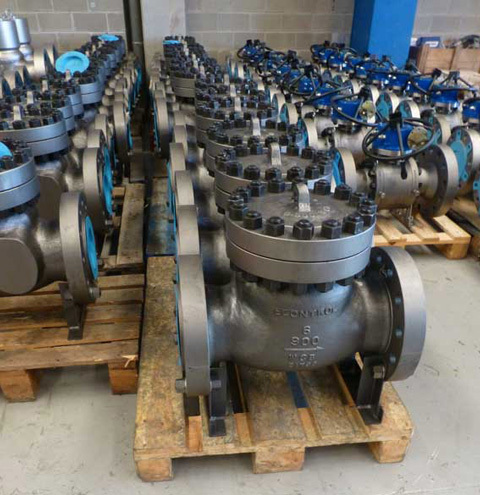 In every piping system, there is a need for backflow prevention. Most piping systems utilize pumps or compressors to generate needed pressure for movement of line fluids or gases. 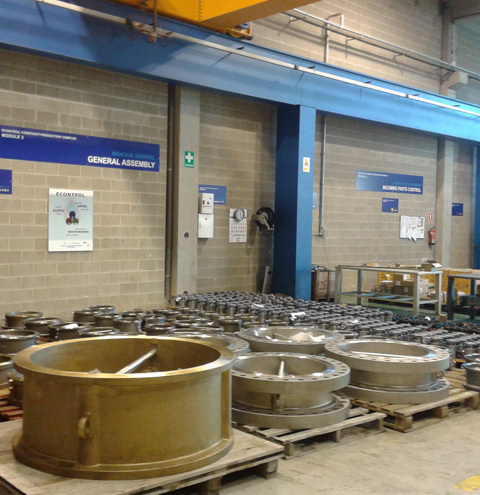 When rotating equipment stops, flow reversal or backflow occurs. 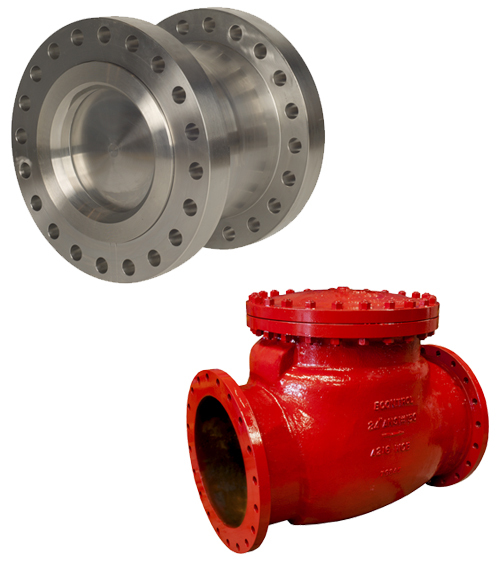 Check valves (also non-return valves) are used to stop backflow and protect rotating equipment or other mechanical devices from the sudden backflow surges that may occur. 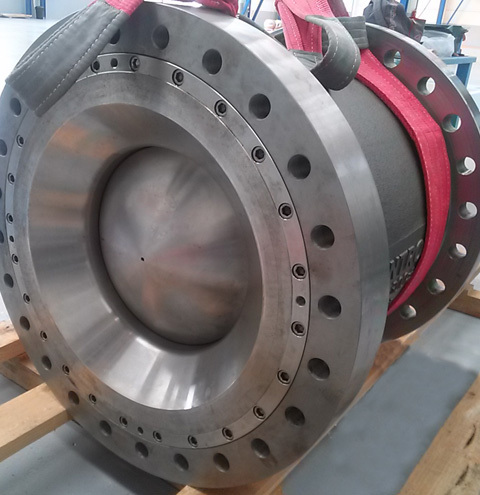 Our check valves are mechanical valves that permit gases and liquids to flow in only one direction, preventing process flow from reversing. They are classified as one-way directional valves. Fluid flow in the desired direction opens the valve, while backflow forces the valve closed. 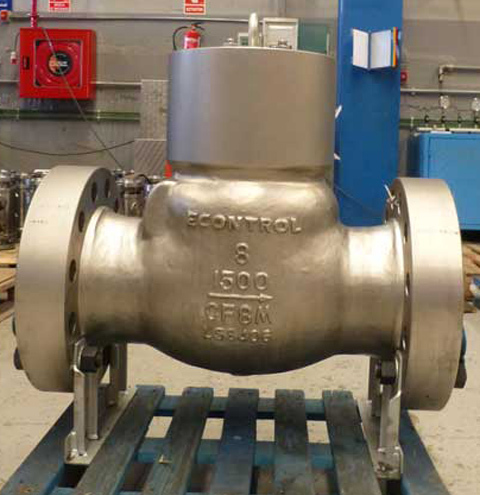 Our range of non-return valves is suitable for oil, gas, water, refining, power and chemical applications where the prevention of flow reversal is mandatory. 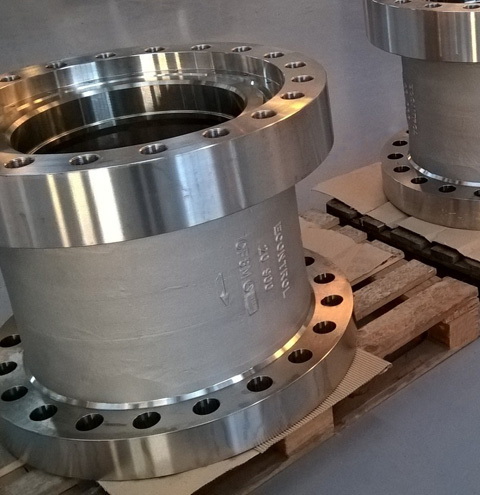 Check valves can be supplied with a cast or forged body design for high pressure applications or fully lined to meet specific requirements within the chemical industry. NPS 1/4" thru NPS 60"